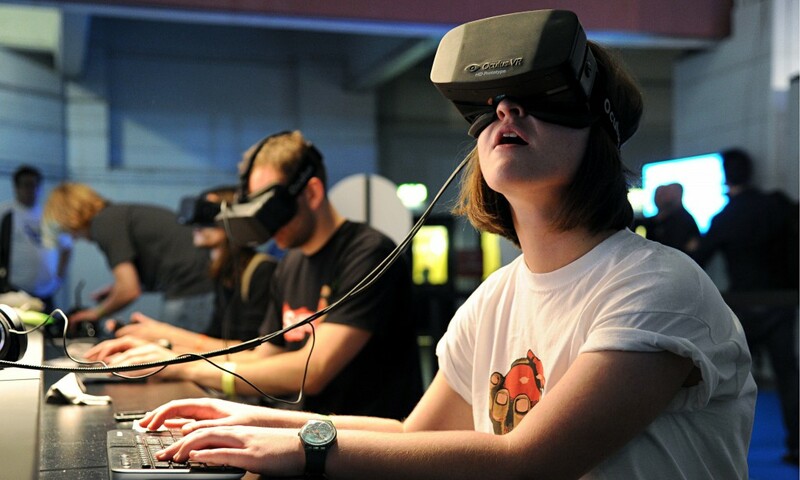 Virtual reality has been a hot topic in the video game industry for a while now. This contrasts greatly to the 90s when VR headsets, particularly the notorious Virtual Boy, didn’t catch fire due to high price tags and unimpressive games. Soon we will see if PlayStation VR, Oculus Rift, and the many other companies now interested in virtual reality can give us what most gamers have always wanted: a complete sense of immersion. While maybe not as exaggerated as the people in the PlayStation VR showcase video, gamers are still showing interest in having a new way to play. Whether it’s a scary horror game or open world action-adventure title, being able to explore gorgeous digital environments and be face-to-face with creatures and characters of all kinds would provide an experience unlike any other. But not everyone is convinced that virtual reality will take the industry by storm like many expect. The following are the two biggest concerns many people have about these new gadgets that promise to be the next and possibly biggest leap forward for video games. We’ve also included quotes from game developers and other industry professionals to see what they have to say about it. Arguably the biggest hurdle that every company entering the VR market is preparing to face is figuring out the right price point. The greatest innovation of our time or not, the average person will only pay so much for their own VR headset, especially when there are plenty of great games to play on regular consoles, smartphones, and PC. Greenlight VR and Touchstone Research did a survey to find out how much people are willing to fork over to adopt VR in 2016 and the results aren’t pretty. According to their results, only 40% are willing to get into VR if they don’t have to pay more than around $400-599. The study offered other interesting results as well, including a higher interest in VR devices connected to a game console as opposed to PC or mobile devices. For Oculus Rift, the fact that only 10% of the people surveyed would be willing to put more than $1,000 toward an HD virtual reality experience should be alarming. This is because the Oculus must be paired with a PC that has some pretty expensive technical requirements. Oculus founder Palmer Luckey recently admitted that the Oculus Rift VR headset will not be available for anything less than $350. “It doesn’t matter what it will cost. If it costs too much this week it will cost the right amount a year from now.” – Jason Rubin, Naughty Dog co-founder/ex-president of THQ now working for Oculus VR. “If you look at many of the most successful consumer hardware products of all time, most of them sold in the very low millions of units in their first year…they sold in the hundreds of thousands in their first generation.” – Nate Mitchell, Oculus VP of product. “Overall we expect a slow ramp up of adoption and consumption of VR content. While the market is more advanced than ever, there are still a number of hurdles that need to be overcome before we see broader consumer adoption.” – Piers Harding-Rolls, analyst for global market research firm IHS. Plenty of fads have come and gone in the video game industry. Who can forget the motion gaming craze of the last generation brought on by Nintendo’s extremely popular Wii console? It was such a hit that we saw both Sony and Microsoft scrambling to make their own motion device—Move and Kinect. Both of them have received little attention in the new console generation, while Nintendo itself has also released less and less motion-focused titles. The fact is, video games make up one of the fastest moving industries on the planet, which means what was all the rage yesterday (zombies, voxel games, building games) may not be as hot today. Even game genres have had their ups and downs. Despite the craze brought on by Street Fighter and Mortal Kombat in the mid 90s, fighting games fell off the planet for a while and didn’t make a strong return until recently. “If you’re a gamer and you have high end graphics cards—I don’t want to stereotype—but you’re probably not the kind of person who cares about fashion.” – Oculus founder Palmer Luckey, trying to explaining why VR will not be a fad. “Games are far too obsessed with technical innovation, and we end up recycling the same ideas and the same uses in the same contexts every handful of years or so.” – Game designer Ian Bogost, saying VR will come and go like motion control gaming did. “It takes away interaction, it reduces the interaction that we’re used to having in video games for the past 20 years.” – Solfar co-founder Thor Gunnarsson, explaining why gamers may eventually ditch VR.